A common fear among V-Dub owners is the fear of an engine fire. These stickers are a great way to remind you and everyone around to keep your fuel lines and fittings up to date. Everywhere we go people can't get enough of the "Honk if I'm on Fire" Bumper Sticker. Includes one white 3"X4" sticker with Black text. Buy 2 for $5 with free shipping or visit our Volkswear Etsy shop and get one free with the purchase of a custom keychain. PASS window decal bumper sticker. 2.75 X 6 inches. Home Is Where You Park It window decal bumper sticker. 3.5X5.5 inches. 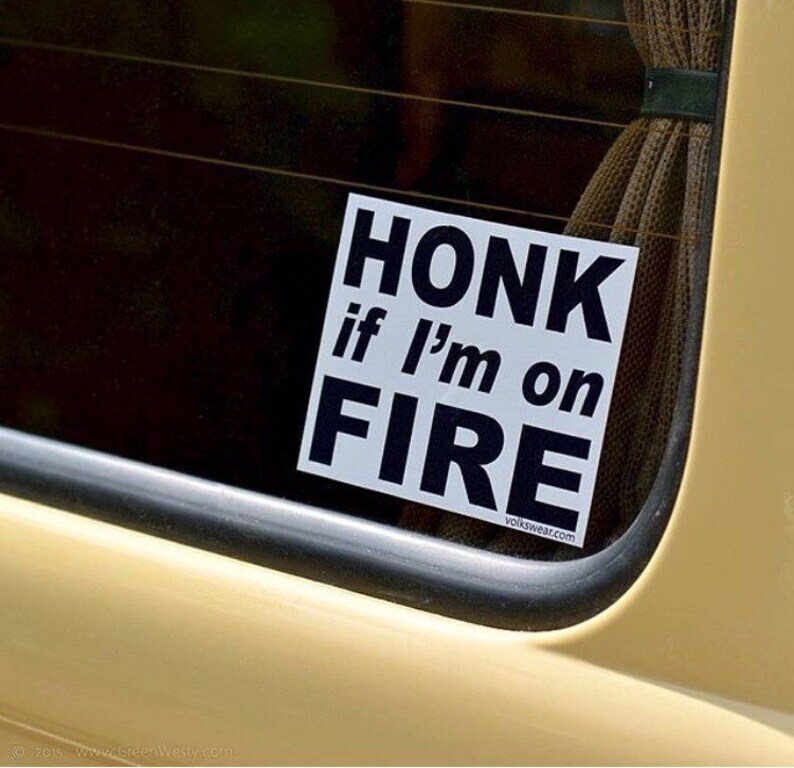 Honk if I'm on Fire Bumper Sticker. Volkswagen Bus Window Decal. My VW nut dad LOVED this, and proceded to put it on his vintage bug window. He was laughing so hard at this... probably because he knows it's true. Perfect! It was exactly what I was looking for. THANK YOU!